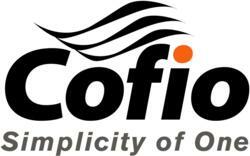 Cofio Software Inc., a world-class provider of unified backup, replication and data protection software, announced an aggressive upgrade program for users of the RepliStor product from EMC Corporation, which was discontinued last year. Cofio will provide a discounted AIMstor Replication node to upgrade existing RepliStor machine licenses. Cofio’s AIMstor Replication provides fast, easy and agile replication, making it the logical path to replace the legacy EMC RepliStor product. Using centralized workflow management, AIMstor can modify configurations for hundreds of machines in minutes. AIMstor Replication includes real-time replication at the byte level in synchronous, asynchronous and asynchronous journaled modes, bandwidth tuning, and secure encrypted SSL for WAN disaster recovery and failover. AIMstor provides “application aware” replication of SQL, Exchange, Sharepoint and Oracle at no added charge. As a next generation solution, AIMstor also provides real-time CDP, Backup and File Versioning from the same replication data stream for any data or application. Storage of such snapshots can be done locally and at remote facilities with intelligent synchronization and global deduplication, while the same live replicated data continues to a live file system on a physical or virtual machine. AIMstor Replication v2.5 is has a US List Price of $1,200 per replication source or target, and Cofio will provide a special discount for any existing license of RepliStor that it replaces. Installation and setup is normally done in a few minutes, even with dozens of machines. Cofio will provide a temporary and fully functional license for evaluation setup and testing. Please use Coupon Code “REPLACE EMC” when ordering. Offer is for limited time only.